Ally Condie, the international best-selling author of the Matched trilogy, returns with an intricately crafted and emotionally gripping story of one young woman’s journey to move beyond the grief and anger that control her and find the inner strength to chart her own course. This book was really well written, I was able to almost feel the pain and grief Poe was feeling! The love and the sudden loss and also the confusion of not knowing what will happen but being sure of what she stood for. I loved seeing her character evolve from vengeance to aiding those who took Poe’s everything. I picked this up because of the trailer I kept seeing all over social media and I’m really glad I did. 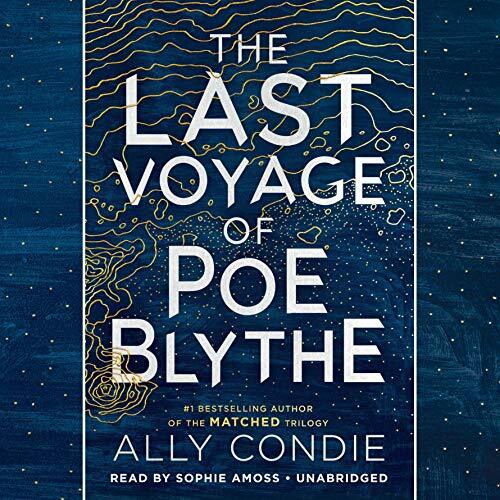 At the end this book had me rooting harder for Poe and wanting her to find her place after the battle. I really enjoyed this! !